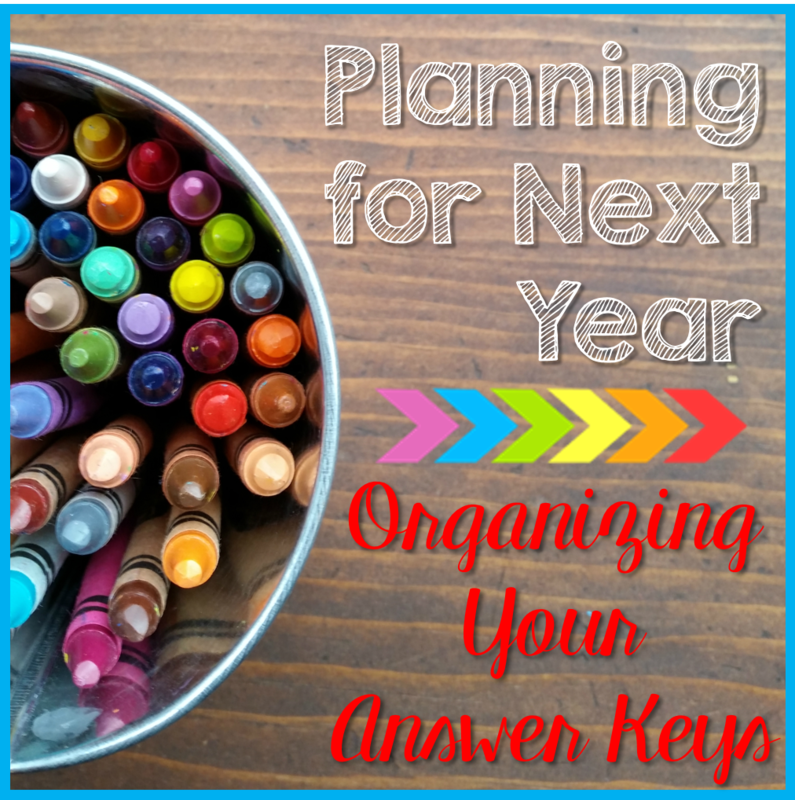 Last week I spent time reorganizing our answer keys. We have a great curriculum with premade tests we can order to use after each chapter/unit. So of course, each subject in every grade level comes with a test answer key packet. This is wonderful, but our answer keys had become a disaster. Different grade levels were mixed together. Second grade English tests could be found in the same binder as fifth grade math test or third grade science tests. The binders were broken, not all the tests were separated by dividers, and some of the answer keys were missing all together. I brought home all the answer keys I could find for all the grades. Then I bought six binders and a TON of dividers. When I was done, I had all the answer keys sorted by grade level and subject within the binders. 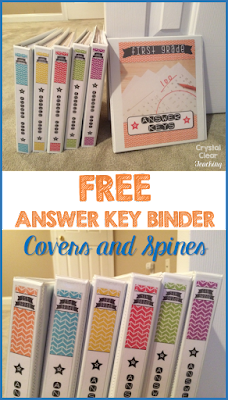 I would love to share the binder and spine labels with you. You can download the PDF by clicking on the image below. Then simply print the cover and spine that you need for the grade (or grades) that you teach. You can find even more organizational ideas on my Classroom Management Pinterest board.